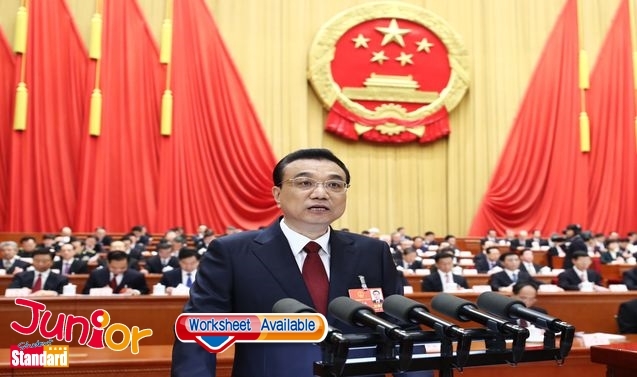 PREMIER Li Keqiang (李克強) demanded accurate and comprehensive implementation of ‘one country, two systems’ in Hong Kong and Macau. But his work report delivered at the opening of the13th National People’s Congress in Beijing made no reference to ‘Hong Kong people ruling Hong Kong’ or a ‘high degree of autonomy’. Li had no strong message for Hong Kong other than setting out its achievements, and did not warn against independence advocacy as he did last year. Instead, he put a heavier emphasis on how the two SAR governments should work on developing the economy and improving livelihood. “We must continue the comprehensive and precise implementation of the one country, two systems, in strict accordance with the constitution and the Basic Law,” Li said. Political commentator Johnny Lau Yui-siu (劉銳紹) said any changes to the work report were deliberate, showing Beijing had lost patience with ‘Hong Kong people administering Hong Kong’. He noted Chinese People’s Political Consultative Conference (全國政協) chairman Yu Zhengsheng (俞正聲) also made a similar omission in his work report. The law committee chairman of the 12th NPC, Qiao Xiaoyang (喬曉陽), when asked by reporters whether the omissions meant a policy change, said people should not make such a speculation.